Fast Cleaners Harrow specializes in professional carpet cleaning services. Our carpet cleaners are insured, vetted and professionally trained to use advanced machinery and proven cleaning techniques in order to eliminate dirt, stains, and bacteria from the carpet. The cleaning products and methods used are safe to disinfect, clean, and deodorize the fibers of carpet. Why Hire our Carpet Cleaners? Apart from regular carpet cleaning services, Fast Cleaners Harrow offers stain protector, anti-static treatment, and pest repellent services at reasonable rates. The Wet Cleaning System- We use high-pressure steam for cleaning carpets to the roots of the fibers. The Dry Cleaning System- It is comparatively simple, safe, and effective for deep cleaning the carpet using no-moisture foam. Our professional carpet cleaners always use non-toxic and eco-friendly chemicals to clean your carpet. 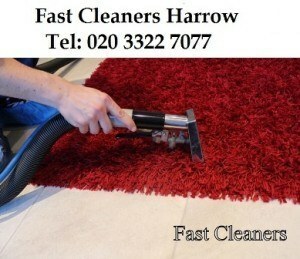 If you are looking for an expert carpet cleaning service Harrow, then look no further and call us at 020 3322 7077 now!